Practicing Impressionism – Dayna Young, M.M. If you put me in a city with an art museum, I will go there. Often. I will find the Impressionism exhibit and spend my time there. I’m not sure when this love affair began with this style of painting, but I do remember being completely enthralled at the Israel Museum in Jerusalem and the Musee D’Orsay of Paris in my very early 20s. I love the perspective that comes with distance, and I marvel at the individual strokes that make little sense up close. There is freedom in it. Varying strokes and colors, an emphasis on light, less precision and defined lines and contours. Viewing life through this lens is freeing. We don’t have all the answers. We cannot see the end from the beginning. But each moment of our day has an overall effect in contributing to the larger picture and purpose. It is in the small, consistent actions that we create a life that we love, and these small habits really do matter. I think of the simpleness of brushing my teeth, the effect of daily prayer and meditation, tucking my kids in bed each night, family dinners, cleaning bathrooms…all the mundane moments of life that are so important in the bigger picture. Neglecting the small things can have significant impacts over time. 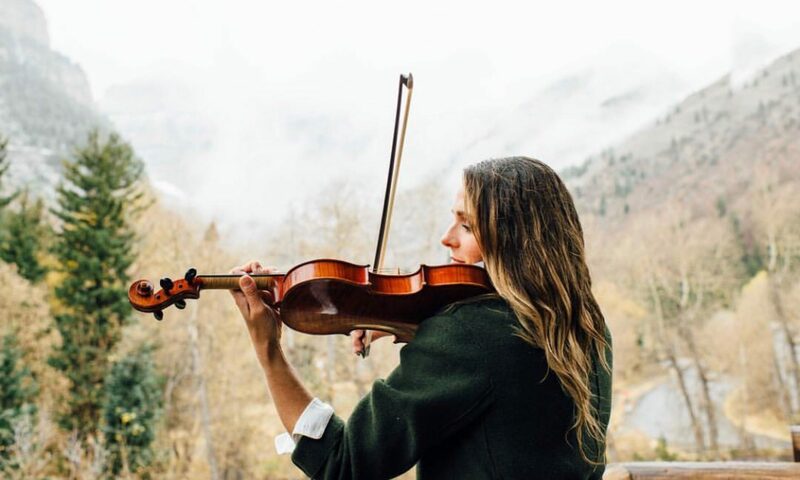 In view of my daily violin practice, the focus on the small and simple habits helps me to isolate problems and keep perspective that I am creating a larger work of beauty. The slow efforts to master a shift, or turn of a phrase is part of a much bigger work of progress. My challenge lately has been coming up for air to see the bigger picture and not getting stuck only seeing the technical difficulties I am trying to work through. It is a balancing act–keeping the overall vision in view, while focusing in close to craft the individual brush strokes that are purposeful and useful. So value the small and simple things that create a beautiful life, and a beautiful performance. See the big picture through focusing on the individual habits that make up each day.